A man dressed in black wearing a backpack full of ammunition and carrying a firearm walked up to a gentleman in the parking lot of a law firm and shot him. This man then walked across five lanes of traffic into the parking lot of a Walmart and opened fire on three other individuals at random. A woman in a nearby restaurant saw the shooter heading towards a neighboring Toys R Us and in a moment of panic laced with heroism, she found the number to the store and called with a warning. The employees managed to lock the doors just before the man arrived. Realizing the doors were locked he walked in the opposite direction and straight into the path of police. After a brief shootout, the man was apprehended. The victims involved are all expected to recover. Unfortunately, it's not uncommon to read of events such as this in the news lately. It's the world in which we live in. Sad, but true. 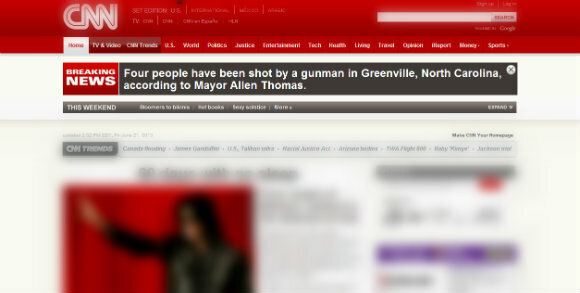 This particular shooting was practically in my backyard. The side effects rippled through neighboring towns and stole the sense of security many take for granted. In times like these communities come together, relationships are repaired that would have otherwise dissolved and eyes are opened to the potential monsters hiding in plain sight. Let the silver lining be a gentle reminder to all of us everywhere to hug tighter and longer and more often. Those you love need to hear the words. Say it. Show it. Share it. Right now. Right away. Offer smiles to everyone you meet, you never know whose day you're making.